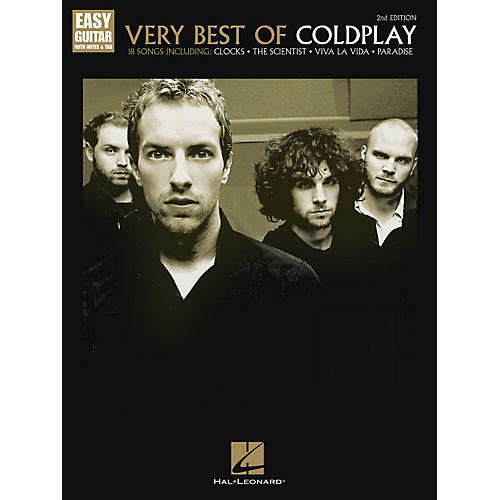 18 of the most popular songs from frontman Chris Martin and the rest of this popular, award-winning band arranged for easy guitar with notes and tab. This second edition includes: Clocks · Every Teardrop Is a Waterfall · Fix You · Hymn for the Weekend · Lost! · Magic · Paradise · The Scientist · A Sky Full of Stars · Viva La Vida · Yellow · and more.